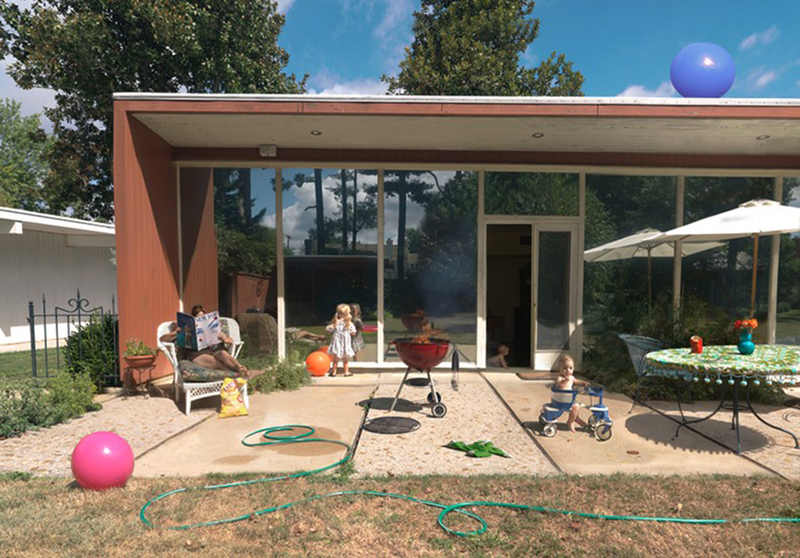 If art about children too often over-simplifies or sugar-coats matters, Julie Blackmon has achieved the remarkable: her photographs dignify wonder as the natural occupation of children. They have the respectful un-orchestrated air of a document combined with the beauty and insight of an informed interpretation. 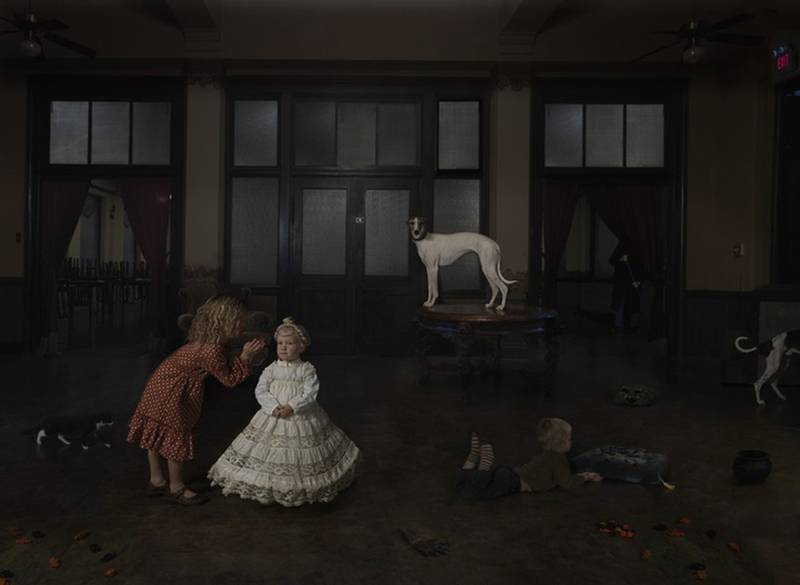 Neither nostalgic nor sentimental, the pictures in Blackmon’s Mind Games series explore childhood play from a range of physical perspectives and are printed in an invitingly lush tonal range. 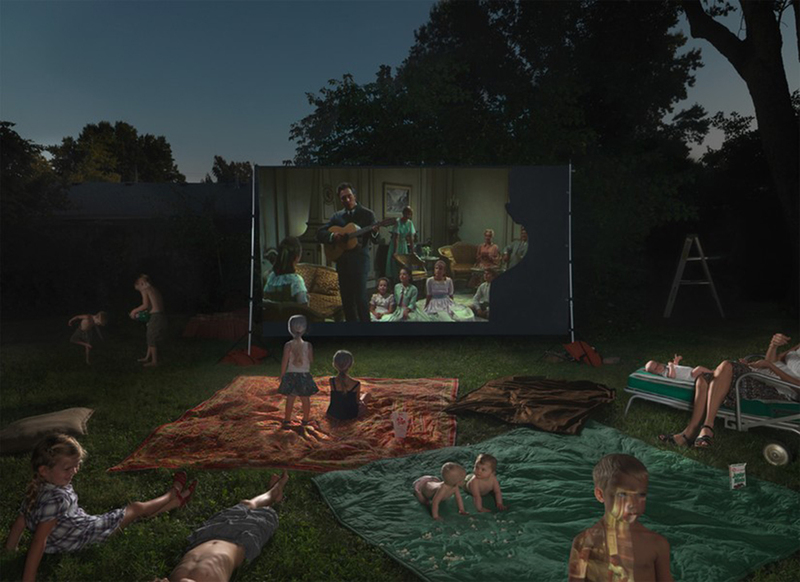 The emphasis on play (and not just the children who engage in it) is seen in Blackmon’s attention to the places and objects that inform play, the way her subjects merge seamlessly with those elements or otherwise make them their own. 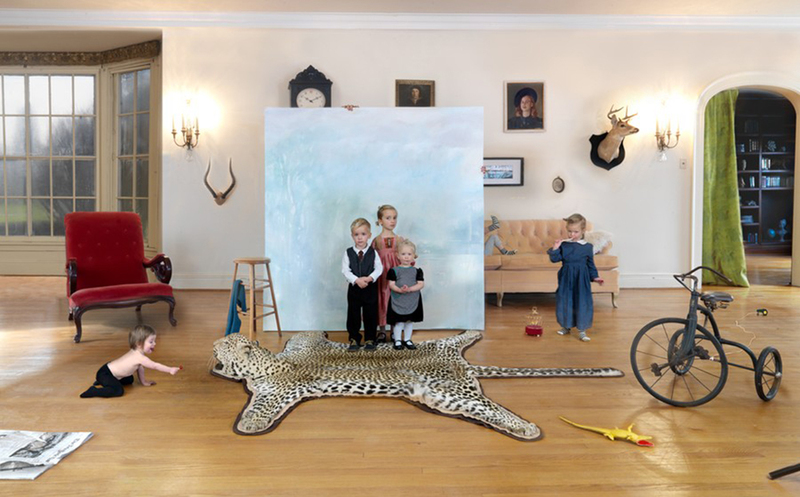 Their absorption in their activities emphasizes the interior world of play, also suggested by the presence of usually only one child in each picture. 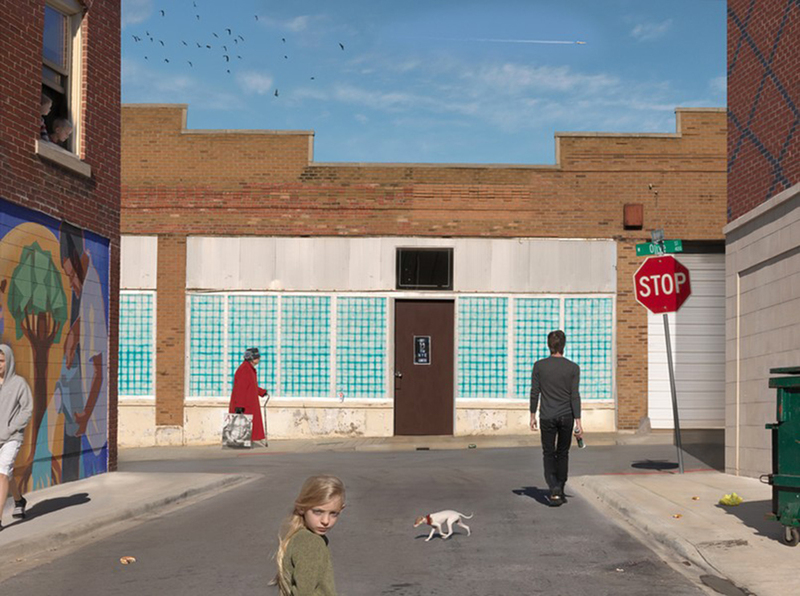 Julie Blackmon was born in Springfield, Missouri. 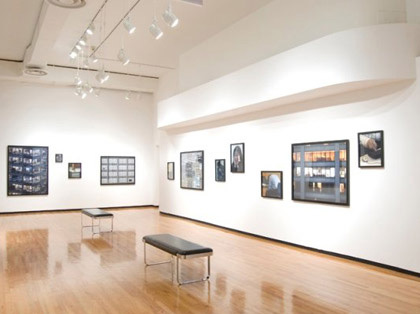 She studied art education and photography at Southwest Missouri State University. 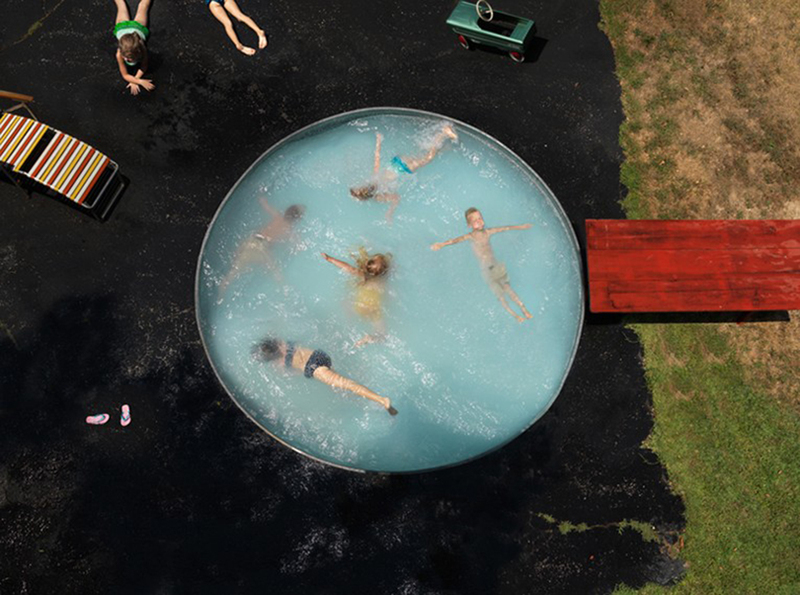 In 2004 she was named Merit Award Winner in the Society for Contemporary Photography Contest and Finalist in the Santa Fe Project Competition for Mind Games, a body of work exhibited the previous year at The Discovery Center and Randy Bacon Photography, both in Springfield, Missouri.